Rune Aresvik is the core of Vardetun. 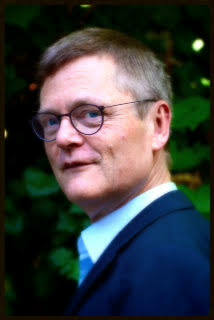 After working for international companies for a number of years in financial functions he did an MBA at INSEAD in 1989. After his MBA he worked for different consulting companies (LEK Consulting, PwC, and A.T. Kearney). At A.T. Kearney he was a Partner and responsible for the telecom and utility sectors in the Benelux. His work as a consultant was focused on helping companies going through intense transformations (due to changes in technology, competition, regulatory, and client demands). Helping clients involved developing new strategies and implementing these through simplified processes, new organizational structures and revised management models. He also worked on a number of projects related to the development of new businesses. Through his career and work in sectors going through large-scale transformations (telecom and energy) he has learned to make decisions in complex situations but also understands the need to build in enough flexibility to deal with wrong assumptions and changing markets. After leaving A.T. Kearney he started Vardetun in order to develop innovative companies. After working full-time for a number of years rolling out 50 locations for helping (young) people with autism, he recognized that the healthcare sector is also going through a massive transformation and decided to focus on advisory work in this sector. You can find Rune Aresvik’s Cv on LinkedIn. Rune Aresvik has an excellent network which can be used to carry out larger projects with a short time-frame. The consultants he uses typically come from McKinsey, BCG, and A.T. Kearney. His network can also be used to find candidates for positions within a new healthcare company.